Pac-Man recently celebrated its 35th anniversary, and to mark the occasion, game publisher Bandai Namco partnered with Hipster Whale — the team behind mobile game Crossy Road — to bring to us Pac-Man 256. This new iteration is basically like an endless Pac-Man, but of course, it comes with its own twists. 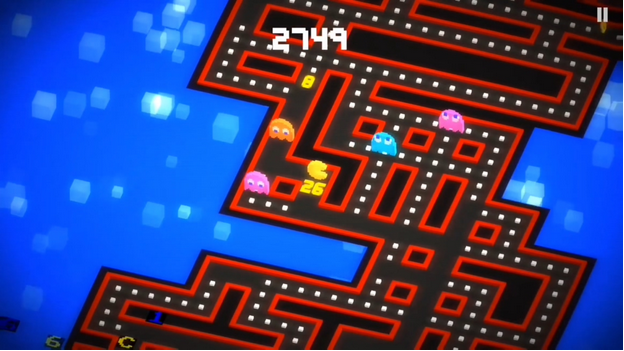 Pac-Man 256 tasks you with escaping the infamous Pac-Man kill screen caused by the Map 256 glitch. With deceivingly simple swipe controls and iconic gameplay, the game is pretty easy to get the hang of, and once you do, you might find it hard to peel away from. 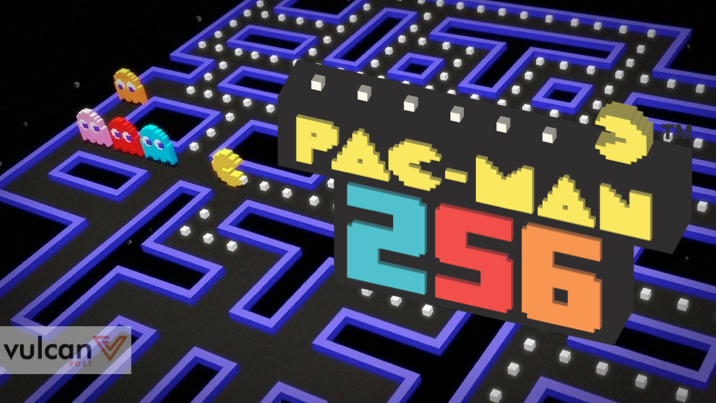 Unlike Crossy Road’s reliance on snappy finger-taps and swipes, Pac-Man 256 encourages moment-to-moment planning as you navigate your way through the maze. 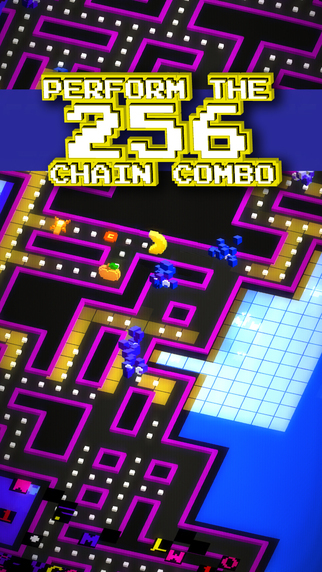 If you’re looking for something to play during your commute, Pac-Man 256 is something you might want to give a try. And to start you off, here are some tips to surviving the glitch and ghosts, and maybe even rack up a high score. You get one point for every dot you eat. But eat 16 dots in one combo, and you get an extra 16 points. And an extra 32 points for 32 dots, 64 for 64, and 128 for 128. Eat the eponymous 256, and not only do you get an extra 256 points — you also kill every ghost on the screen. It’s a risk/reward as you try to pick routes filled with dots, but avoid ghosts along the way. In addition to eating dots, you will also occasionally find fruits around the map to eat. 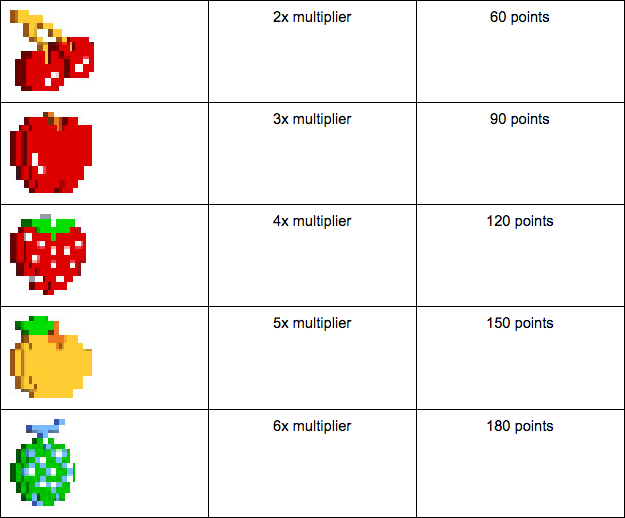 Always eat them — fruits net you points and multiply your scores. Chomping on a power pellet (a big dot) turns the tables on the ghosts and gives you the ability to eat them instead of letting them kill you. Eating one ghost gets you 10 points. A second ghost gives you 20 points, 30 points for a third ghost, and so on. 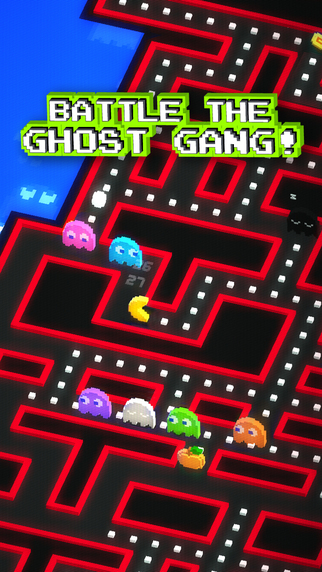 Pac-Man’s formidable rogues plague the maze. Each type of ghost has its own unique trait, and knowing how they move is key to avoiding them. Blinky (Red): Your vanilla ghost. Blinky will chase Pac-Man down if Pac-Man comes close, but isn’t as fast as Pac-Man. Only a real threat if it happens to be blocking your path. Inky (Blue): Patrols a certain area in the maze, making him predictable and easy to avoid once you’ve figured out his pattern. Pinky (Pink): If you cross her path, she will make a mad dash toward you. Pinky is faster than Pac-Man, so it will be difficult to outrun her in a straight line. Do your best not to get in her way. Clyde (Orange): Clyde’s main concern is getting towards the bottom of the screen. Never go up against Clyde, always go around him. Spunky (Grey): Asleep most of time. Get close to him and he’ll run off elsewhere. His movement is rather erratic. Sue (Purple) and Funky (Green): They move in packs of three and four respectively, but only move horizontally. This can make them hard to get past, but not a huge threat. Glitchy: Any glitch in the game is bad news. These glitchy ghosts can teleport to a spot next to you. You can see when they’re coming so just go in a different direction when you do. 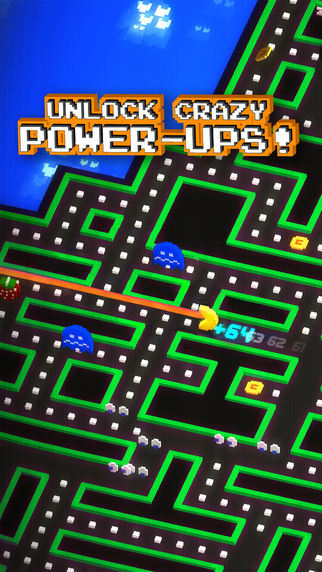 Collecting dots and coins unlock the ability to obtain and upgrade power-ups for Pac-Man. Once you equip a power-up on Pac-Man, you will be able to find the equipped power-up on the map, and activate it when Pac-Man touches it. The various power-ups range from a laser that kills any ghost in the direction you are facing, an ice block that slows down ghosts, a tornado that goes around the map killing ghosts it touches, a giant Pac-Man that lets you kill ghosts without eating a power pellet, and even a bomb that kills nearby ghosts when Pac-Man comes into contact with one. When you need a bit of a breather, you can hug a wall. This is when Pac-Man hits a wall and doesn’t change direction, giving you a moment to observe enemy ghost movements and even avoid attacks. Wall-hugging doesn’t diminish your combo, so don’t be afraid to use it. Just make sure not to be swallowed up by the glitch that will start appearing from the bottom of the screen. Because of its surprising amount of depth, Pac-Man 256 can easily turn into extended play sessions of “after this round, I’ll put it down. No, after this one…” It is the perfect pick-up-and-play game for your morning commute or if you just have a little time to kill. Share your high-score in the comments below. Pac-Man Fever is back, baby.